Q: Can you demonstrate our capabilities online? 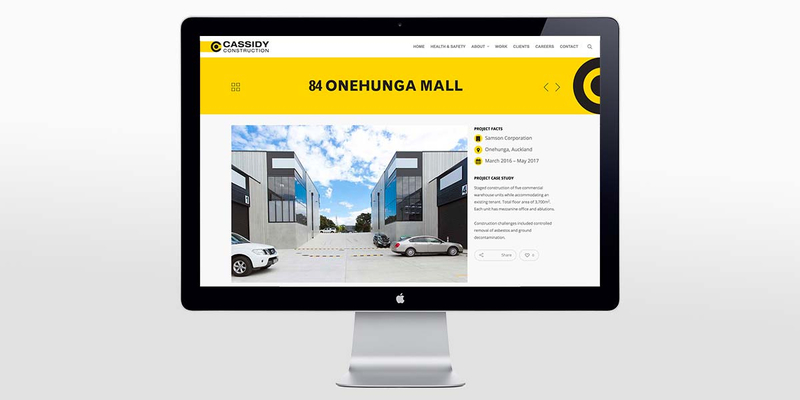 Cassidy Construction is well established in New Zealand with offices in Auckland and Christchurch. Having successfully delivered more than 1,000 construction contracts for fewer than 100 clients, they have earned a strong reputation. 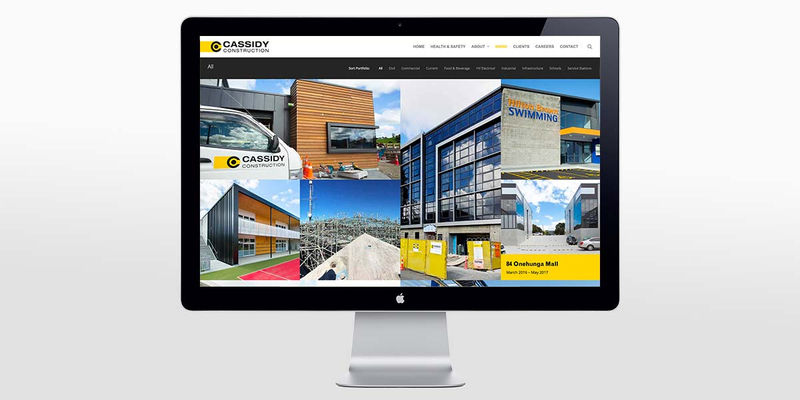 Cassidy Construction are often considered the first choice construction partner. 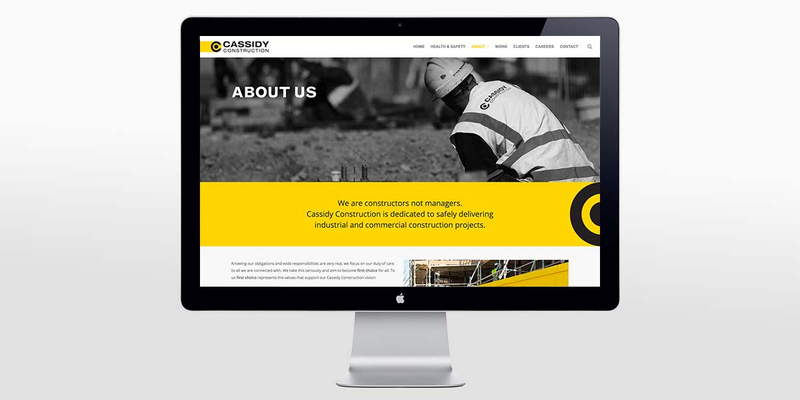 Feedback from potential Cassidy Construction clients suggested that their current website didn’t promote their services or demonstrate capabilities effectively, so the decision was made to re-design the website. 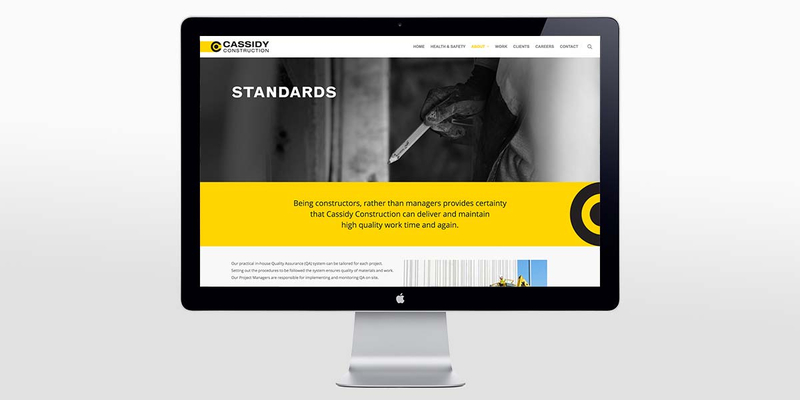 During the website design stages we created a new site structure, designed user-friendly page templates and demonstrated how well Cassidy’s brand identity worked online. 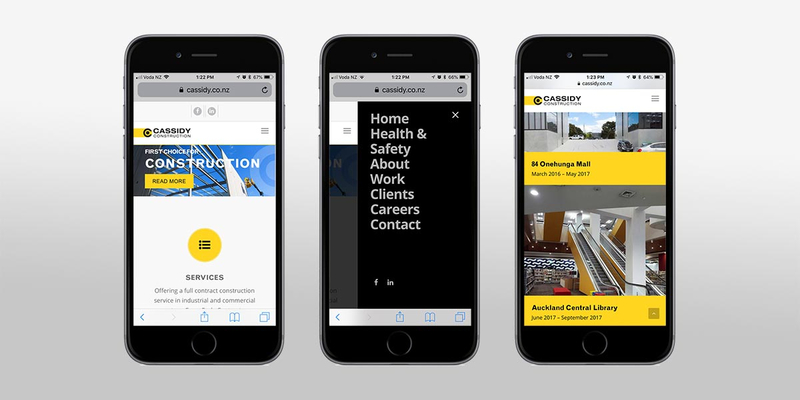 Having rebranded Cassidy Construction in 2016, we knew their brand inside out. We applied our brand knowledge to the new website design and development which has recently launched. The approach is bold, confident and straight-talking. People and projects are the focus. With statements like ‘Cassidy Construction is our people’ and ‘We are constructors not managers’ it’s clear where their priorities lie. They really look after the health, safety and development of their people and they love to build. 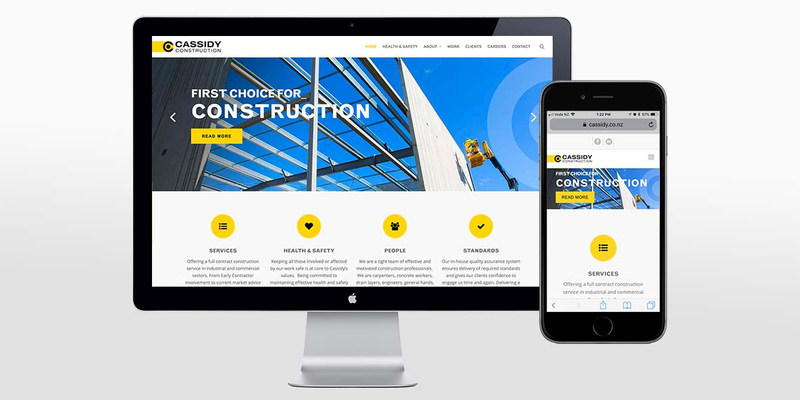 The no-nonsense black and yellow brand palette features prominently throughout the website, along with clear ‘First choice’ messages. A mixture of black and white and colour photography captures Cassidy people at work and showcases their breadth of skills and the quality of their delivery. A comprehensive Work section features 29 project case studies in 9 categories. Angle photographed many of the completed projects as well as work-in-progress construction sites, specifically for this purpose. Quality content like this gives people a reason to look at the site and keep returning. 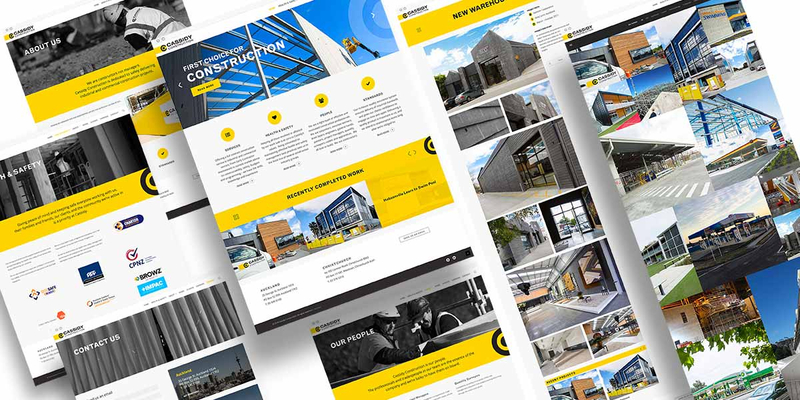 By providing a first choice user experience, the new website helps to persuade people that this is the right company to engage with and encourages the target audience to make enquiries and request project estimates. It clearly demonstrates Cassidy’s point of difference, builds a full picture of their capabilities, shows off their work and helps to build trust. Are you looking for a website design and development team that really knows their stuff but also understands your business needs? Angle will help you to stand out online with a high quality website.